I recall choosing the word “occasionally” after considerable thought and was not aware of anyone having previously used that descriptive term as applied to digital utility meters. The term was the best one I could objectively choose given the intermittent yet persistent reports of digital utility meters burning/exploding in areas across the United States, Canada, and Australia where smart meters have been deployed. Catastrophic ‘Smart’ Meter Failure Definition: a meter which has burnt, melted, blackened, caught fire, arced, sparked, or exploded. 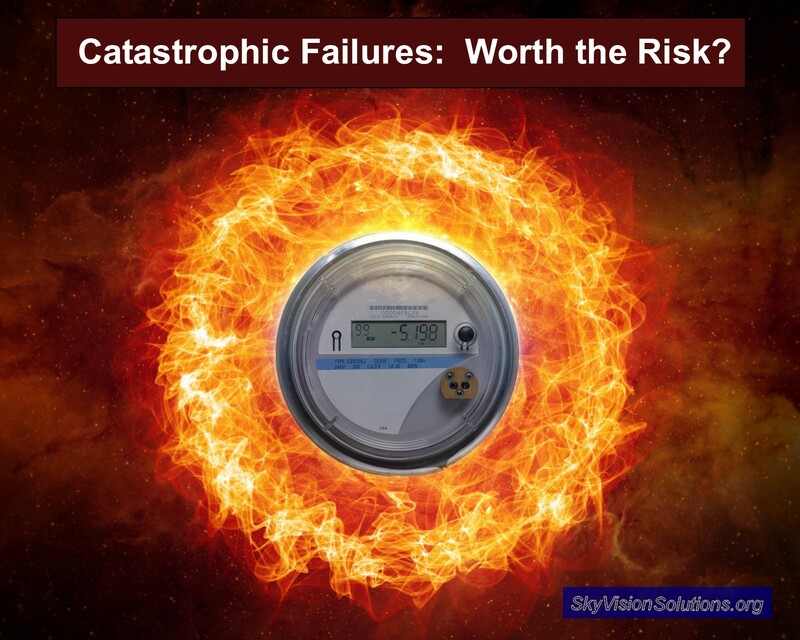 What one must understand is that although smart meter catastrophic meter failures may only occur “occasionally,” these occasional failures are difficult to justify from a cost/benefit basis perspective when the result can be injury, death, and destruction. So what are some examples of the results that can occur from smart meter fires in order for utility companies to experience the “gift that keeps on giving”? Here are two possible scenarios provided for illustration purposes. So if a smart meter fire occurs and you happen to have a brick exterior for your home, you may be lucky and escape serious damage or injury. One of the best documented smart meter fires is for Bensalem, Pennsylvania, in February 2014. Based upon a report in the Bucks County Courier Times, Battalion Chief Robert Sponheimer indicated that the fire was caused by a “meter malfunction.” It was later confirmed that the fire was definitely started by a Landis smart meter . The smart meter fire in Bensalem displaced thirty (30) residents at the Thunder Hollow apartments. Sixteen (16) apartments were affected. One firefighter was injured. In this instance the fire started in a smart meter located in a wooden shed attached to an apartment building. Residents reported hearing a loud bang, then losing power. Within minutes they saw smoke pouring out of the shed. The fire then spread to the building and its roof. So if a catastrophic meter failure occurs when combustible materials are present, such as inside a wooden shed, devastation will likely occur. 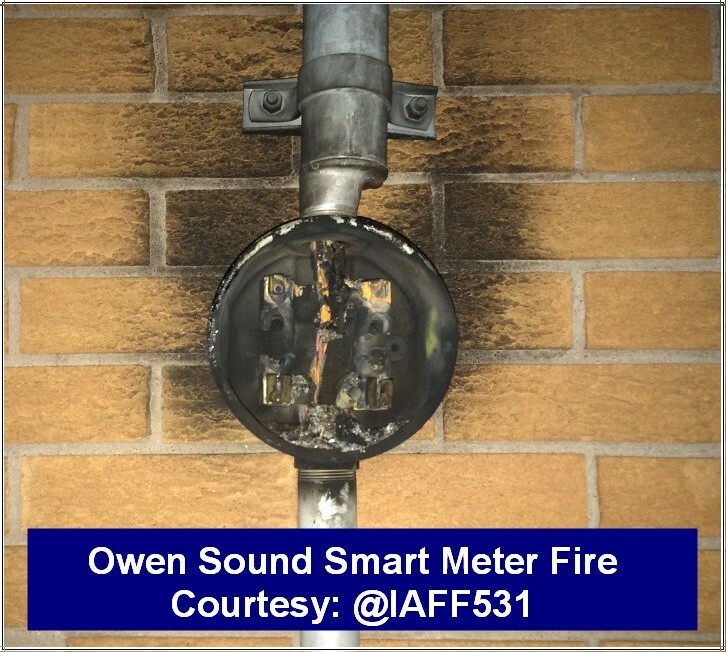 Below is a 2-minute video summarizing the havoc caused by the smart meter fire at an apartment building in Pennsylvania in 2014. The above video is presented in the public’s interest for non-commercial purposes. This video may contain material used pursuant to the Fair Use Doctrine under 17 U.S.C. 107. 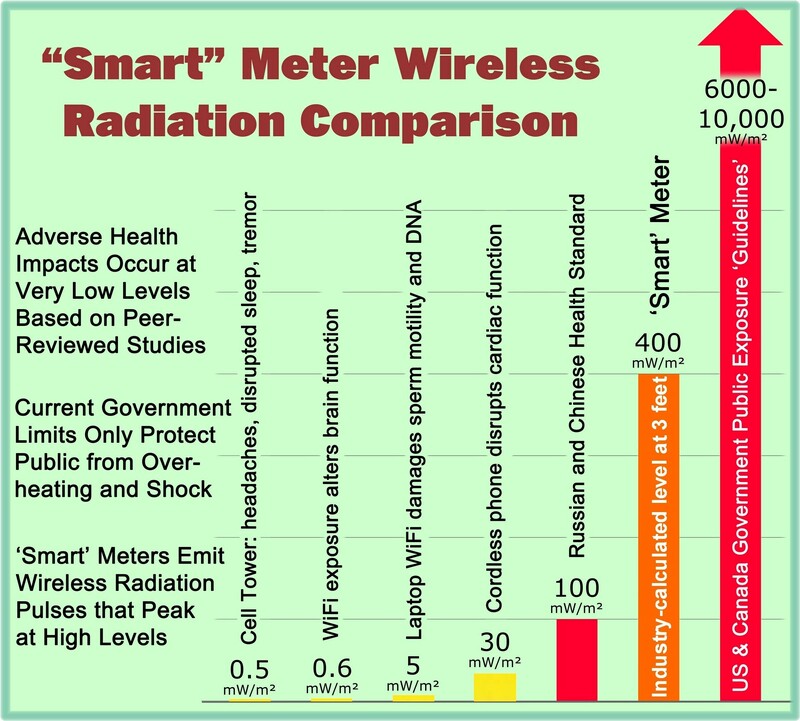 I have written several comprehensive articles demonstrating that smart meters increase the risk for fires [5 through 11]. Evidence has also been revealed at this website on how smart meters suffer from a catastrophic failure mode not present for traditional electromechanical meters . These catastrophic failures may only occur “occasionally,” but we have seen that these failures can result in varying levels of injury and devastation depending on the proximity of combustible materials near the meters. Utilities also make attempts to remove burned smart meter evidence from fire scenes hindering the efforts of fire investigators . Now we learn that the electric utility industry was aware of catastrophic failures for solid-state meters as early as 2006 and that such failures were considered as “worth the risk.” I disagree. This entry was posted in Smart Grid, Smart Meters, and RF Emissions and tagged Catastrophic Failures, fires, Safety Concerns, Smart Meters. Bookmark the permalink. Re: Reference #3. The fire department reported that the fire was due to a wiring fault inside the meter base. It was not due to the smart meter. 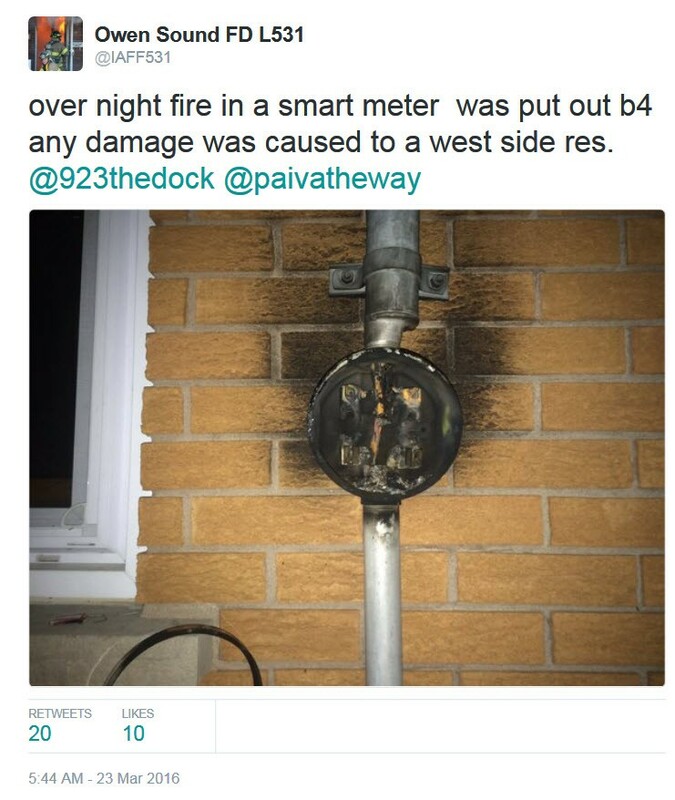 I have adjusted the language in the article slightly so as not to overstate the point of origin for the Owen Sound smart meter fire. However, I see little doubt that the smart meter did fail, and one must not fall prey to the utility industry narrative that all smart meter fires result from customer meter base problems that relieve the utility company from liability. As I have stated in other articles, the real issue is whether the failure/fire would have occurred if an analog meter had been present. Some meter failures have been attributed to, for example, the fact that the blades on smart meters were too thin in comparison to analog meter blades [Reference 11]. In addition, it has been found that analog meters withstand hot socket conditions better than smart meters [Reference 8].